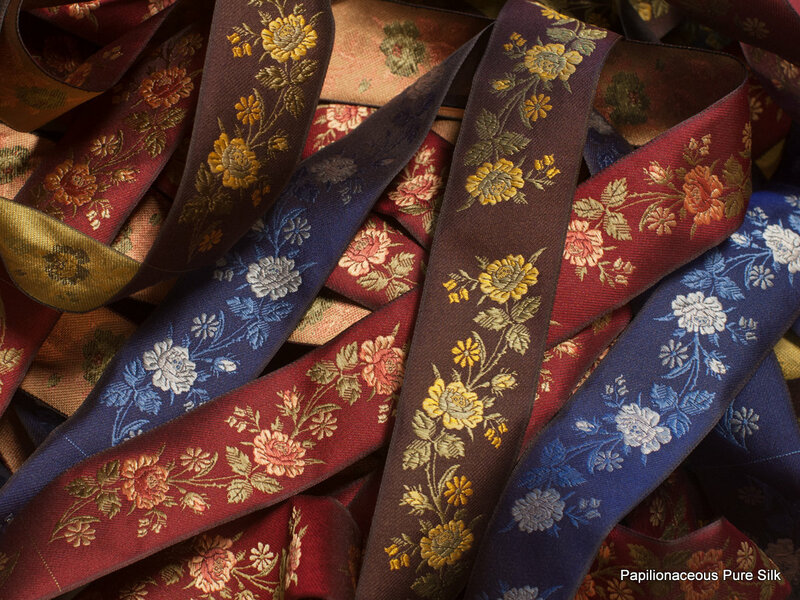 Papilionaceous produces woven jacquard ribbons from fine silk in Devon, England. Though the invention of the jacquard loom is credited to Joseph Marie Jacquard, it built on weaving developments made throughout the previous century by Basile Bouchon, Jean Baptiste Falcon and Jacques Vaucanson. 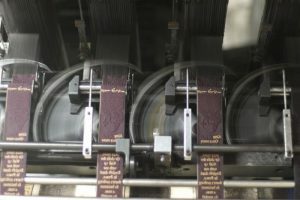 The particular machinery in use at Papilionaceous is specifically designed for the production of woven jacquard ribbons as opposed to broadcloth looms for wider fabrics. 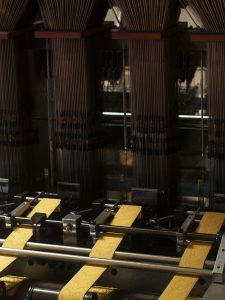 The principles of operation of the Jacquard loom are credited with paving the way for the development of modern computing and Charles Babbage was aware of their use of a ‘stored program’. At around the time the jacquard weaving loom was in development (circa. 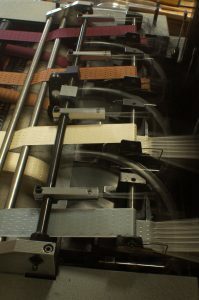 1810) Charles Babbage was at school in Totnes which is some 10 miles away from us in our current premises in Dartmouth. 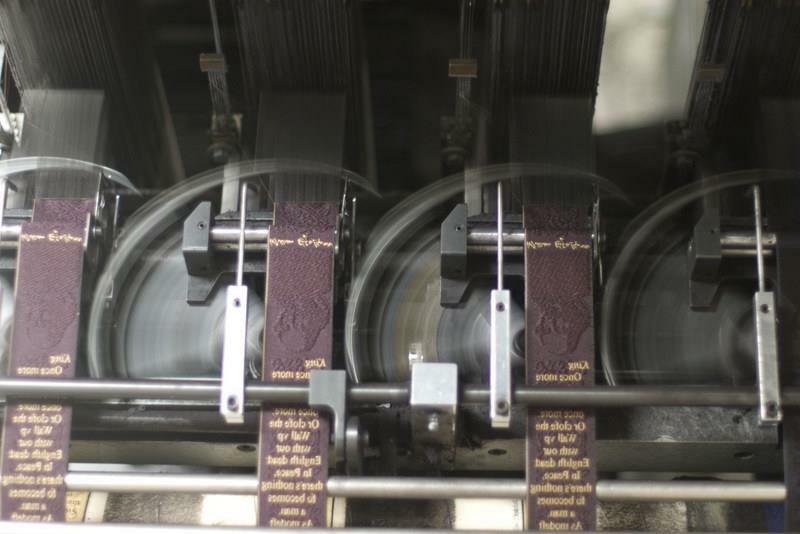 We have been weaving jacquard silk ribbons since 1996. 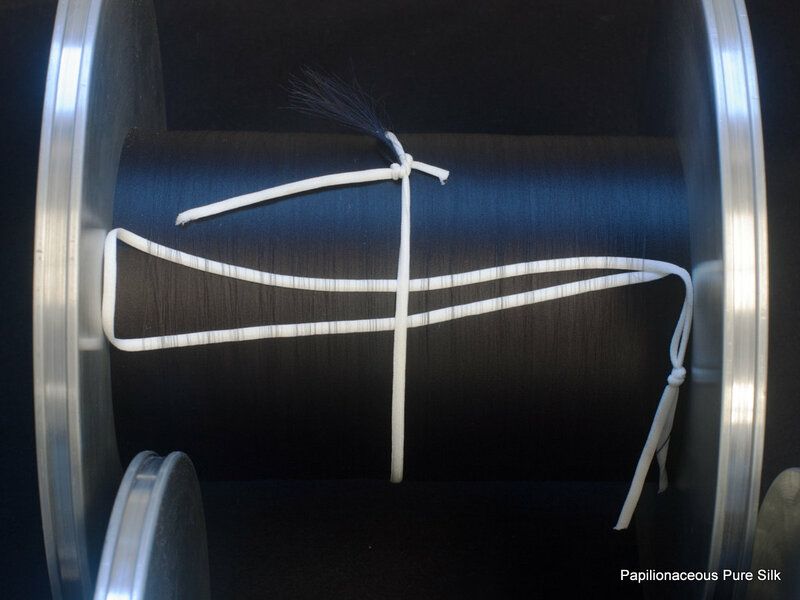 The ribbons in production here are destined for costume trim. 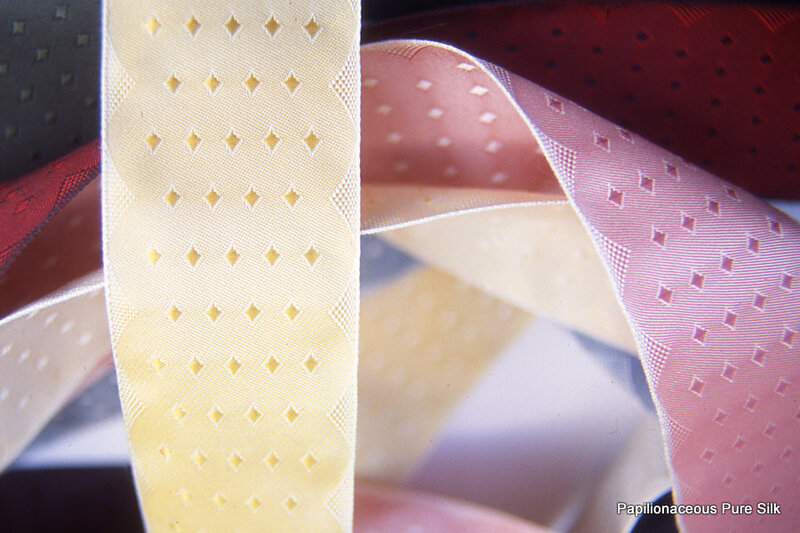 These ribbons are the facings for gents braces. This particular design has no repeat being woven to the length of one side of a pair of braces. 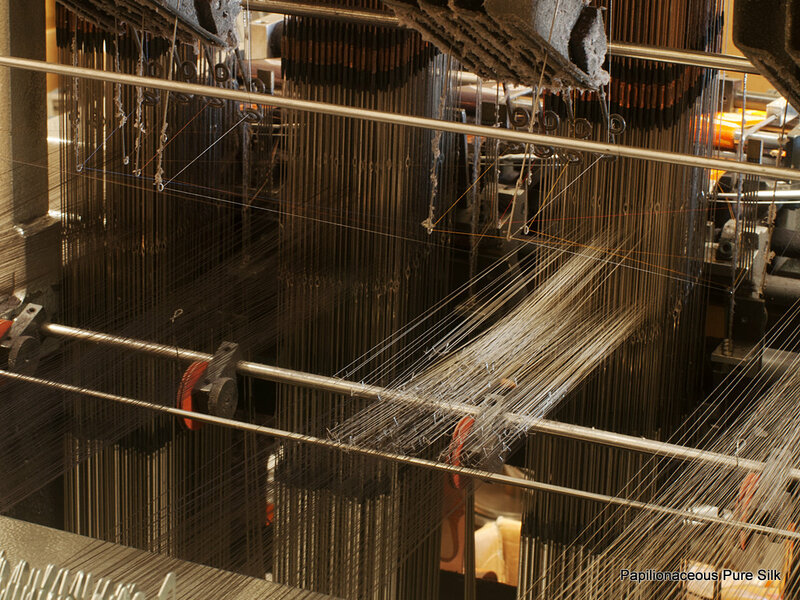 It may not be much to look at, but this beam holds 160 individual silk threads each around 2km long which make up half of the warp for one ribbon. 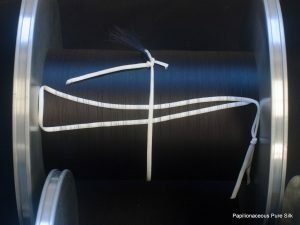 The new warp (black) is being pulled through by the old warp (white). Here the new warp is making its way towards the heddles, each thread passes through its own eyelet which is lifted (or not) by the jacquard mechanism for each weft insertion to create the design.